The finest flour is an essential ingredient of the baking process.Here at Regency Foods you can buy flour online for delivery to your door. 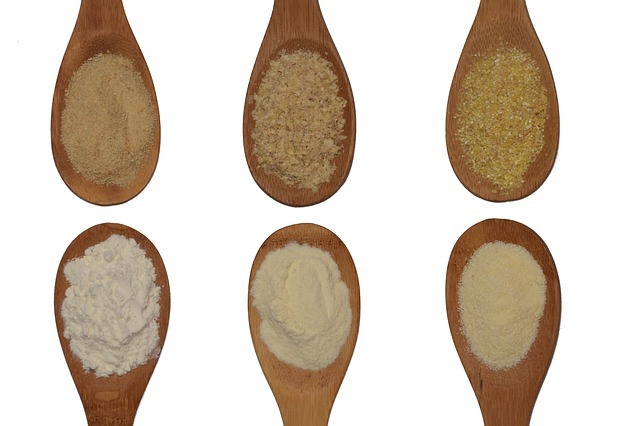 Whether you are after bread flour, wholemeal flour, mil flour, rye flour, potato flour, maize flour, teff flour, "00" flour, soya flour; whether you want it organic or stoneground, this is the best wholesale flour supplier in London. Coconut flour is made from ground and dried coconut meat. Once the outer green husk of a coconut is removed, what remains inside is the rich, inner white lining which is the coconut meat. A soft, self raising flour of a confectioner's quality. Suitable for biscuits, cakes, sponges and scone recipes to give slight aeration. Semolina Fine 1.5 kg Delicious and ideal for hot or cold puddings and desserts. Suitable for vegetarians. Strong Wholemeal Flour Wright's is a strong all purpose wholemeal bread flour. Suitable for bread and rolls. ALLERGY ADVICE: Contains wheat gluten. Traditional straight run bakers flour. Excellent quality and suitable for use on all production methods to produce fermented goods. High quality self raising flour. Ideal for part of paste and biscuit recipes for slight aeration. Wright's Encore Flour Type 55 is a french baguette/bread flour authentically milled using selected French wheats. Ideal for petit pains, baguette and pains parisiens.